At Ferntree Print we pride ourselves at providing a friendly and helpful service so we're happy to help you with any questions you may have in order to get the most out of your printed work. Whether you are doing a long-run offset print job or a short-run digital print, the information on this page will help you set up your artwork ready for print. We prefer artwork to be in PDF format, if your application does not output a PDF and you are on a Windows machine please click here to download and install PDF Creator. This will create a new printer driver on your computer, when you print to this PDF Creator printer you have the ability to save a PDF version of your document to disk. If your file format is not listed above please contact us and we will help you come up with a solution. Please ensure that your Microsoft Word documents is set up using British "A" sizes, and not the "US Letter" American default size. This can be changes by selecting File->Page Setup and choosing the appropriate A size. 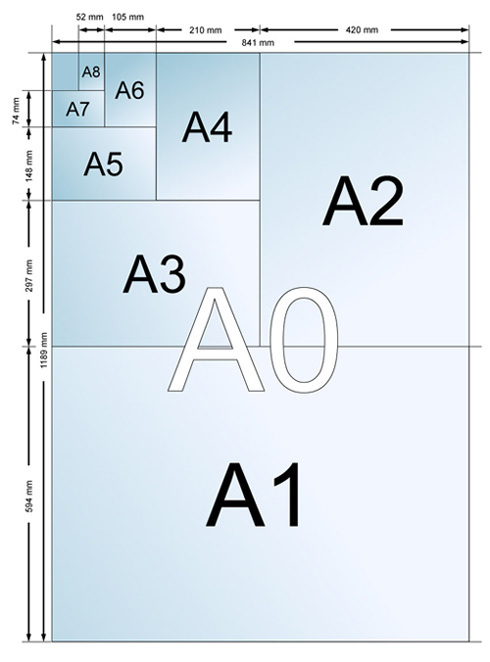 Please use the following diagram when setting up your artwork page size.